Cannabis generally enjoys fairly moderate humidity levels, but the ideal levels fluctuate throughout the plant’s life cycle. As a rule, young cannabis plants enjoy higher humidity, and the needs of the plant decrease as they reach full maturity. Cannabis grower can maximize their production by making sometimes-subtle changes to moisture levels during the different stages of the cannabis life cycle. When growing cannabis, indoor growers need to replicate the ideal conditions in which cannabis thrives outdoors. Most people learn about the most basic elements of growing first, such as grow room design, ventilation and air circulation, proper lighting and light cycles, as well as the soil and fertilizer regimens. The second phase of education and implementation often includes more advanced and technical aspects of cannabis cultivation like CO2 levels and humidity requirements. Moisture concerns often lag behind other growing factors, but they really shouldn’t. Depending on the region of the United States in which a grower lives, proper moisture can be extremely important. All things considered, cannabis is a forgiving and resilient plant, but its hardy nature can suffer with inadequate humidity. Areas like Florida and much of the East Coast and South can develop extremely high humidity levels—levels too high for cannabis. Likewise, arid regions like southwestern deserts and the Rocky Mountains can have levels that dip into the single digits, which is too low for cannabis. Too much moisture will lead to mold and fungus problems, while too little will result in plants that become overly desiccated and fail to thrive. Neither of these situations is acceptable for producing quality cannabis. Outdoor growers are at the mercy of these conditions, but indoor growers have the advantage because they can employ various techniques to control their artificial environments. They can monitor their moisture levels and make adjustments as needed. Let’s take a look at these stages and the ideal humidity levels for each. When a cannabis plant sprouts and breaks the soil surface as a seedling, its humidity needs will be higher than at any other time in its life. The same holds true for young cuttings (clones). There are several reasons for this higher need. Young cannabis plants have a very undeveloped root system, so their roots have a limited capacity to draw water from the soil to hydrate the entire plant. At this age, higher humidity will allow the seedling to draw water from the air through its leaves, supplementing the essential moisture it gleans from the soil. The young plant remains hydrated from both above and below the soil surface. For this reason, a seedling will do best with an ambient humidity level of about 60% to 70%. Providing lower—but adequate—ventilation to young plants will increase humidity. In areas with critically low humidity, humidifiers will help with boosting humidity levels. Monitor the humidity levels of seedlings very closely and provide enough water. Young plants can become desiccated surprisingly fast. Heed this warning, and check humidity and soil moisture more often in the early stages. As cannabis grows, the root system develops at a very rapid rate—which is a very positive thing for the plant’s strength and overall growth. Growing more roots does wonders for adequate plant hydration. As the plant matures and transitions to the second half of the vegetative stage, its humidity needs become slightly less demanding. Humidity levels can be a little lower, because the plant is growing stronger as the root system and leaves grow. Ambient humidity at this age should be in the 45% to 85% range. As the plant adds more roots and leaves, humidity needs are not quite as demanding. As cannabis flowers, its humidity needs lower to a more moderate range for ideal growing conditions. For the early stages of flowering, ideal humidity can lower to 40% to 55%. At higher levels, cannabis plants risk developing a mold or fungus issue. Flowers are denser than leaves, so lower moisture levels will keep the flowers adequately dry. Molds and fungi on flowers will ruin a crop to the point that it’s useless for consumption and has no monetary value. Increasing grow room ventilation is often all that’s necessary to lower ambient humidity to an acceptable level. At this stage, the plants will appreciate a humidity adjustment. During the late flowering stage, two or three weeks prior to harvest, cannabis plants thrive under the lowest moisture requirements of their life cycle. Their buds can become very large and dense, so mold and fungus become an increasing concern. Unfortunately, molds and fungi love to hide in the nooks and crannies of mature flowers if the grower allows humidity levels to reach an unacceptable level. Grow room ventilation can be at its highest level during this time. Monitoring the odor level to avoid unwanted detection of your grow can be important at this age as well, because mature cannabis produces a lot of terpenes right before harvest, when the flowers are growing heavy and frosty with trichomes. Humidity levels of 25% to 40% will provide perfect growing conditions. Watering plants during the dark cycle will help lower moisture. Lowering grow room temperatures at this time will serve the plants well, too, although a temperature reduction will inevitably occur from the shorter light cycle and the break from high-intensity light—and associated higher temperatures—the plants receive at this time. The lower moisture and temperatures will maximize yield and quality. You can monitor your grow room with a simple humidity meter. A wide range of meters are available at a variety of process, but you generally tend to get what you pay for when it comes to functionality and accuracy. Some meters will monitor CO2 and temperature levels as well. To accurately monitor your grow room’s moisture levels, a meter is essential. Most home grow rooms don’t require humidifiers unless they’re quite large. For most rooms, hanging fluffy bath towels saturated with water will significantly increase the room’s humidity. So, essentially, all you need is water, a towel, and a hanger. For larger rooms, a high-tech automated humidifier will serve monitoring and adjusting very well. For large commercial grows, automation is highly recommended to take much of the guesswork and labor out of the daily maintenance. Grow room dehumidifiers can be pricey, so do your research and shop wisely. Dehumidifiers can be useful if increased ventilation doesn’t meet your cultivation needs. For commercial grows, dehumidifiers should be essential equipment. Providing ideal humidity by using meters and automated systems takes the guesswork out of providing ideal moisture levels. Depending on where you live, grow room moisture levels may not be a huge concern. 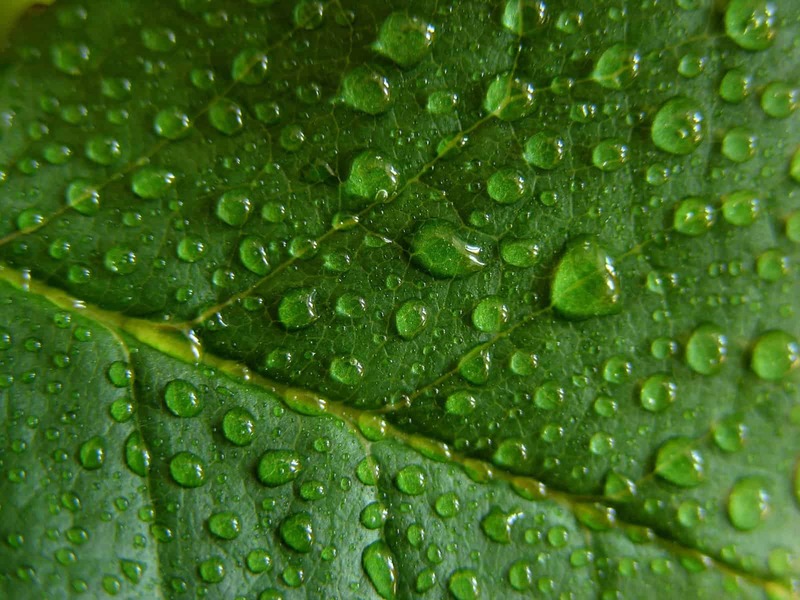 However, to provide optimum conditions for your plants—as well as provide you with peace of mind—proper moisture is an important consideration for achieving maximum yield and quality. If you haven’t given humidity much thought, now might be the time to do so. If they could, your plants would thank you for it!